The rivalry between Croatia and Serbia is centuries-long, stretching to before either of them were modern-day nation states and back to the time when they were still under the occupation of Austria-Hungary and the Ottoman Empire, respectively. It’s been argued that both people are of the same ethnic origin, with their only substantial differences being in dialect and adherence to a particular Christian branched (Catholicism for Croats, Orthodoxy for Serbs). Extended research has already been published on the fraternal similarities between these two people and the reasons for their contemporary perception of “separateness” as regards the other, so the present study will refrain from repeating what has already been established long before it and begin the historical discourse from the more relevant period of World War II. Leading up to the intercommunal hostilities that formally broke out after the Nazi invasion (although incidents of violence were indeed present right before then), the Croats had been agitating for an autonomous ethno-centric sub-state within the Kingdom of Yugoslavia, and they finally received their wish with the August 1939 Cvetkovic-Macek Agreement that established the CroatianBanovina. The Ustase, a hyper-fascist Croatian organization led by Ante Pavelic, had been pushing for this for quite some time, seeing it as a stepping stone to outright independence and the fulfillment of their nationalist ambitions to forge Greater Croatia. Observed from abroad, the Croatian fascists obviously seemed like ideal and natural partners for the Nazis to cooperate with before and after their forthcoming invasion of Yugoslavia, and it’s no surprise that Hitler would later work hand-in-glove with Pavelic in exterminating the Serbs. Their pre-war collaboration was so deep that the “Independent State of Croatia”, the Nazi-controlled puppet project during World War II (the most radical manifestation of Greater Croatia), would be declared right after Hitler’s invasion and over a week prior to the formal capitulation of the Yugoslav government, suggesting that its supporters were eagerly awaiting the offensive and understood that it was only with Nazi support that their nationalist nightmare could become a reality. The pertinence that all of this has to the present era is that the Hitler-Pavelic project for Greater Croatia incorporated the entirety of Bosnia and created a precedent (however ethically disturbing and brief) of ‘leadership’ in the Western Balkans that imprinted a very specific form of geo-nationalism on the historical memory of most Croats. While thankfully never carried out to the ultra-extreme form of its fascist predecessors, this brand of radical Croatian nationalism would return as a factor during the destructive dissolution of Yugoslavia. 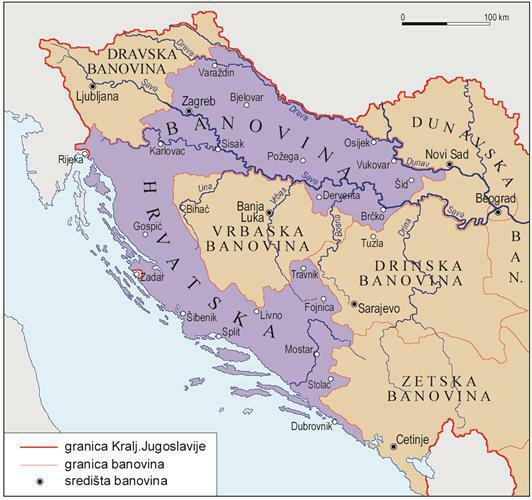 The Croatian military wanted not only to purge ethnic Serbs from the Republic of Serbian Krajina that they had established in part of the former Socialist Republic of Croatia (itself the post-war formalization of most of the Croatian Banovina), but they wanted to take it even further and cleanse their rival demographic from most of Bosnia as well (although this latter objective thankfully failed). Indicative of just how intimately intertwined the genocide against Serbs has become in the modern-day Croatian national identity, 5 August, the date that the Republic of Serbian Krajina was destroyed, is annually celebrated as the “Day of Victory and Thanksgiving and the Day of Croatian Defenders”. The takeaway from this broad overview is that the Croatian political-military establishment is vehemently anti-Serbian and that the geo-nationalist historical memory still lingering from World War II can be easily manipulated to gin the population up for supporting another crusade. The focal point in any forthcoming conflict for carving out a Greater Croatia (whether in fact or in form) is undoubtedly Bosnia, and the provocations that Sarajevo has lately launched against Republika Srpska bode quite negatively for the entity’s future stability. More than likely, the Croatian deep state (the permanent military, diplomatic, and intelligence apparatuses) is interested in unbalancing Bosnia in order to create the opportunity for wiping Republika Srpska from the map and turning the entirety of the country into an American-Croatian protectorate, or in other words, the post-modern manifestation of the Hitler-Pavelic project for Greater Croatia. This brings the study to the point of discussing the missile race that’s begun between Croatia and Serbia. It was reported in mid-October 2015 that Croatia is planning to purchase 16 Multiple Launch Rocket Systems (MLRS) from the US. Although no formal statement was yet to be issued on the topic, it’s predicted that Croatia will claim that the MLRS are for “defensive” purposes and shouldn’t trigger worry from anyone, but the fact that they give the country the capability to strike Serbia is a cause for serious concern. It’s perplexing to try and make sense of what’s foreseen to be Croatia’s “defensive” ‘justification’ for the arms purchase considering that the system only has an offensive purpose. It’s thus not for naught that Serbian Prime Minister Vucic spoke about his interest in purchasing Russian anti-missile systems and other equipment during his late-October visit to Moscow, since Serbia now needs to find a way to nullify this emerging military threat. Of course, if Serbia for whatever reason backs out of its verbal commitment to purchase the Russian arms, then it would automatically place itself in a position of military blackmail vis-à-vis Croatia (acting as a Lead From Behind proxy on behalf of the US) and would be powerless to correct the military imbalance. Provided that both transfers go through, then it’s inevitable that the US will push its Croatian proxy into purchasing different sets of weaponry in order to upset the strategic equilibrium that Serbia’s Russian-made anti-missile systems would bring to the region. This would beget a symmetrical response from Serbia, thus plunging the two neighbors into an American-initiated arms race that neither of their two frail economies might be able to sustain. 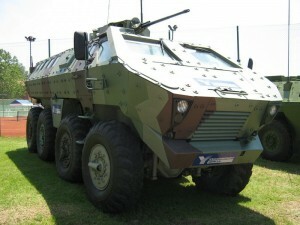 Serbian armoured vehicle Lazar to be equipped with the Russian weaponry. In this sense, Croatia would have an institutional advantage over Serbia since its NATO membership might entitle it to discounted weaponry that could prove effective in shifting the military balance, while Serbia has no such agreement with Russia. Nonetheless, in such a case Russia would probably propose an advantageous and deferred payment plan to allow Serbia to receive the necessary defensive armaments in maintaining its security. Cyclically, one sale leads to another, and before anyone realizes what happened (except of course the US, which engineered this whole scenario), the Western and Central Balkans’ strongest militaries are engaged in a spiraling arms race across every military spectrum, drawing their American and Russian allies closer to a New Cold War proxy confrontation with the other. Going back to the conclusion reached after the historical overview at the beginning of this article, Croatia and its Western backers are working closely with Sarajevo in engineering the pretexts (whether legal, military, or ‘socially driven’ through a Color Revolution) to abolish Republika Srpska. Such a struggle won’t come easy, however, as the Serbs are sure to symmetrically fight back against any aggressive infringement on their sovereignty, be it legal and/or military. Everything that’s happening right now as regards the Croatian military buildup is predicated on preparing Zagreb to take the lead in any prospective anti-Srpska operation, whether through a direct or indirect role. The Bosnian Armed Forces are not capable on their own of carrying out the task, considering also that the Serbian members would immediately mutiny and fight for their constituent republic as opposed to the overall federation (which is being hijacked by the Croat-Muslim entity as it is). Therefore, from the perspective of American grand strategy in waging the next battle in the War on Serbia and drawing Belgrade into a Reverse Brzezinski trap, it’s imperative for it to use Croatia as its vanguard proxy in achieving this geo-critical objective. At this juncture, Croatia’s missile buildup makes complete sense, since it gives Zagreb the capacity to project force into Serbia to counter any support that Belgrade gives to Banja Luka. It’s not for sure that Croatia would ever directly attack Serbia itself (although it might feel compelled to if the US pressures it in this direction), but the mere fact that American missiles could once more rain down on Serbian cities would certainly affect Serbia’s strategic calculations in this scenario. If the country didn’t have adequate defenses for nullifying this threat, then Croatia would be able to blackmail Serbia and prevent it from directly or indirectly intervening to support Republika Srpska. However, if Serbia’s defenses were buffeted with state-of-the-art Russian-built anti-missile technology, then Croatia’s blackmail threat instantly disappears and Belgrade would have a much freer course of action in assisting Republika Srpska however it deemed fit. Croatia would then only have the choice of attacking Serbia directly in face-to-face aggression either in the Bosnian ‘middle ground’ or directly on its own soil and risk escalating the war to unforeseen heights. Depending on the global New Cold War conditions at the time, the US and NATO might not be so eager to directly assist in Croatia’s offensive, thus hanging it out to dry in fighting Serbia on its own. This isn’t a risk that Croatia’s decision makers would want to take lightly, thus meaning that if their surface-to-surface missile blackmail is deterred by Serbia’s Russian-provided anti-missile defense systems, then it becomes markedly less likely that they’d directly attack Serbian soil and would probably contain their aggression to the Bosnian battlespace. In turn, this increases the chances that Republka Srpska can withstand whatever joint Croatian-Muslim offensive is being planned against them, knowing that they can depend on Serbian assistance if need be without having to fear that their ally is under ballistic-missile blackmail in being forced to stay on the sidelines. From a larger and conclusive perspective, Serbian-Russian military cooperation in balancing against the Croatian-American buildup might even indefinitely delay a unipolar offensive on Republika Srpska and give the multipolar world the adequate time that it needs in brainstorming a solution to this impending brinksmanship.